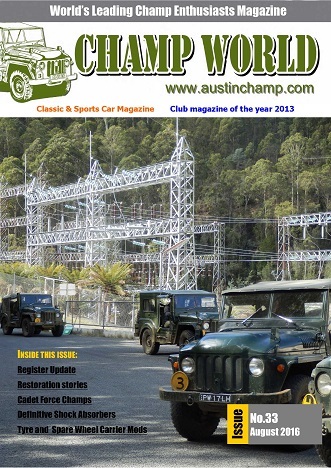 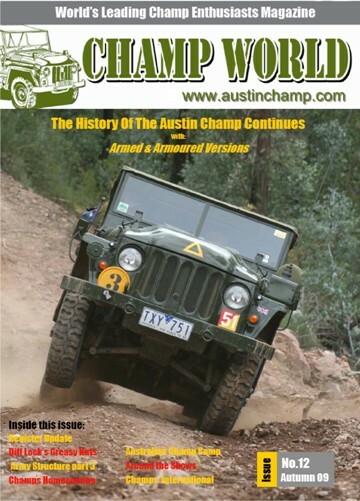 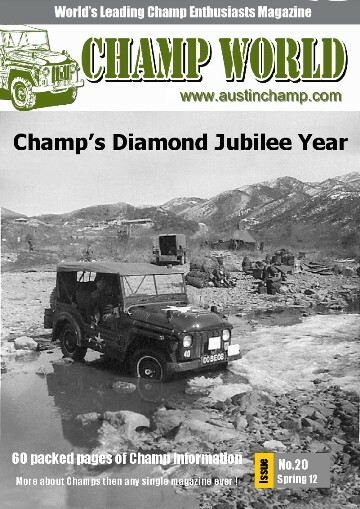 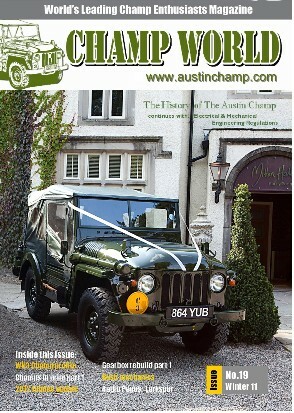 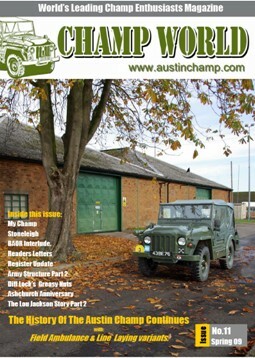 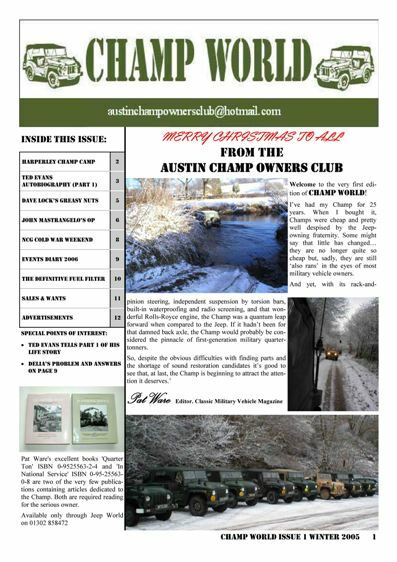 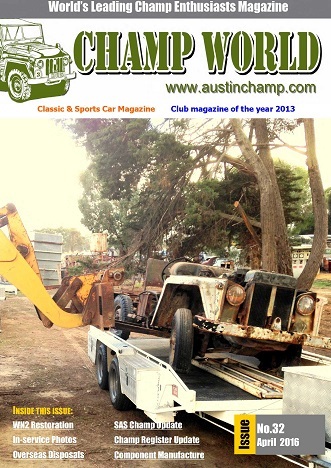 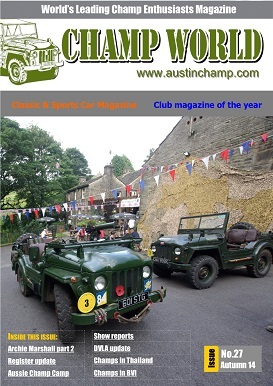 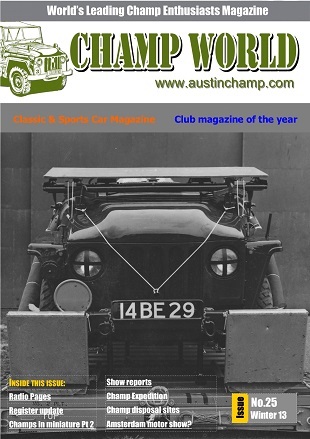 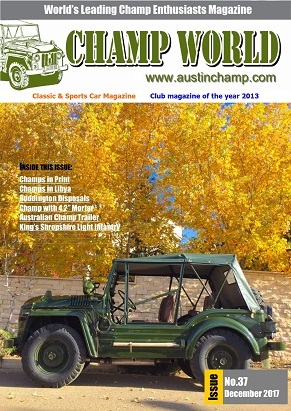 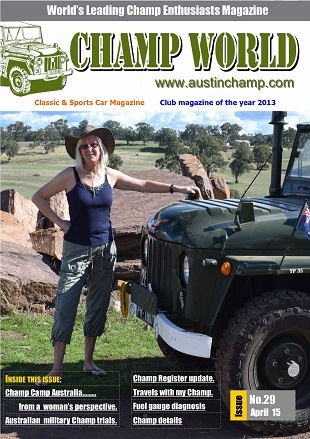 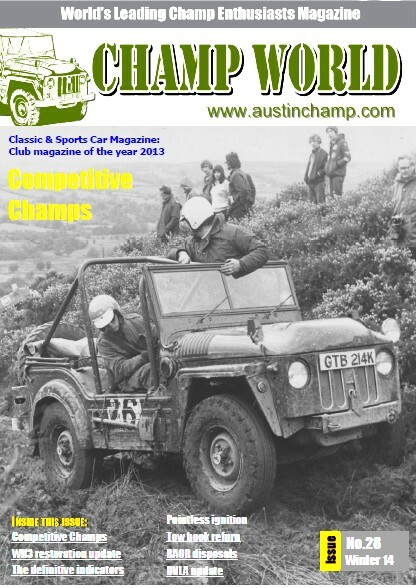 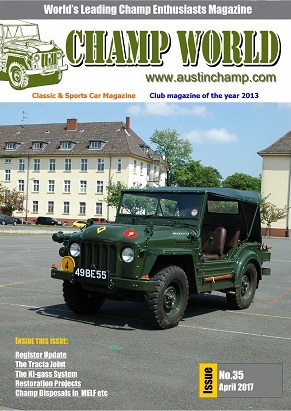 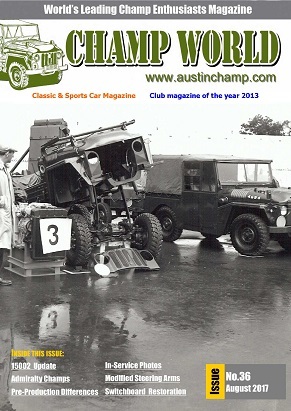 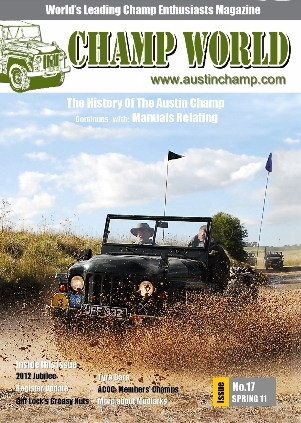 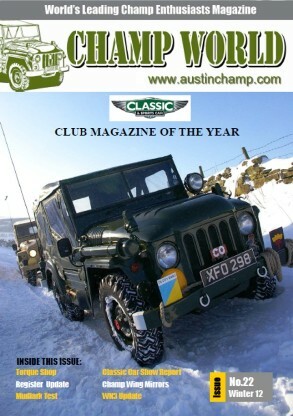 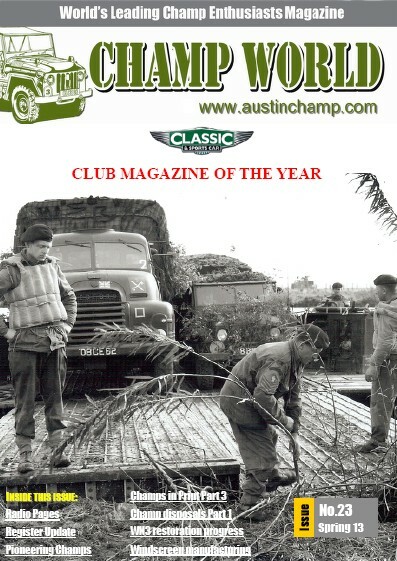 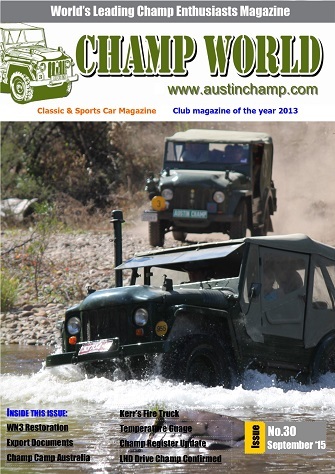 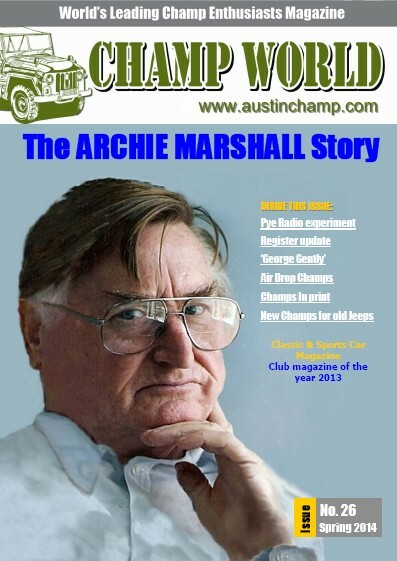 The Club Magazine CHAMP WORLD is published three times per year (April, September and December) and is free to all members. 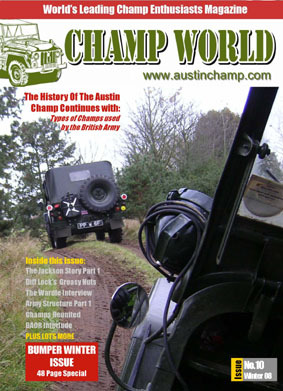 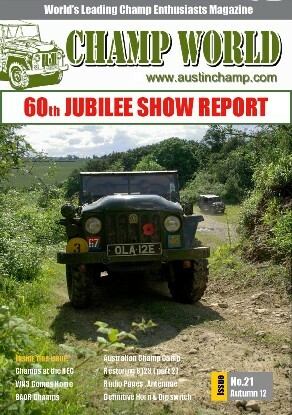 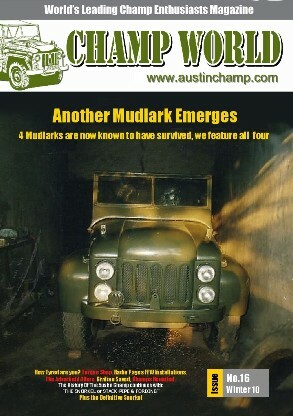 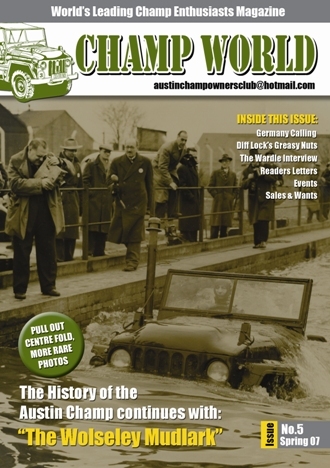 The magazine is printed in full colour and has grown through 12, 20, 28, 32 and now 36 pages. 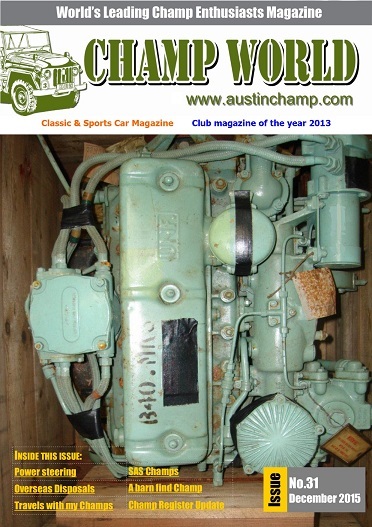 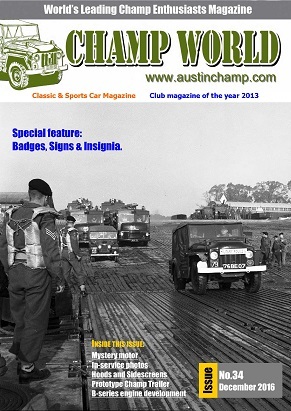 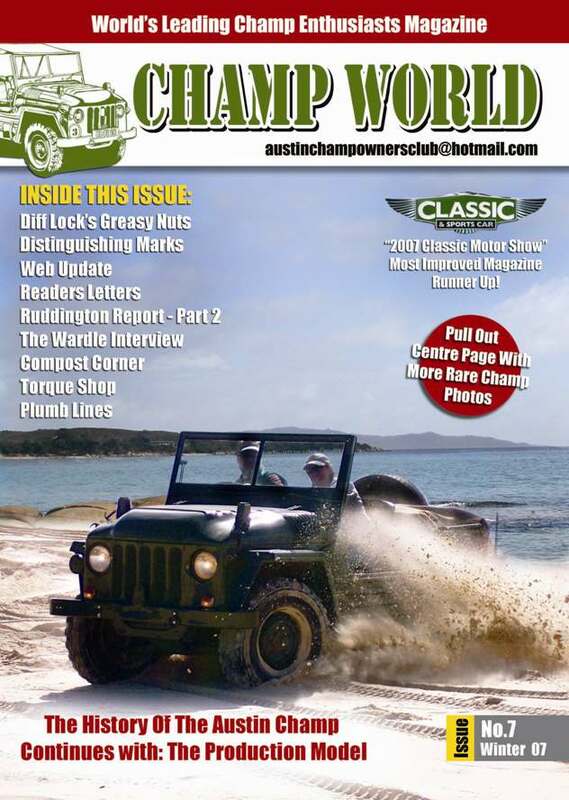 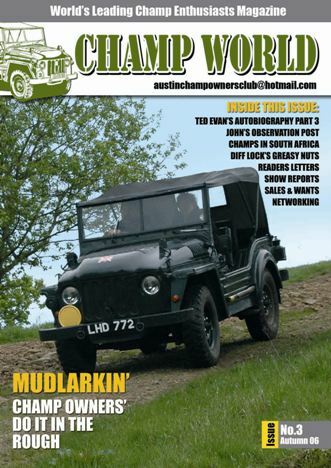 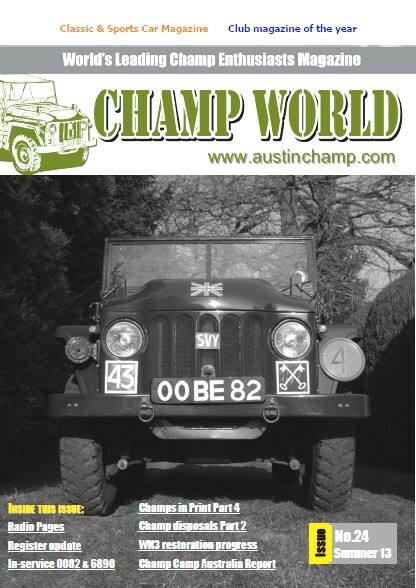 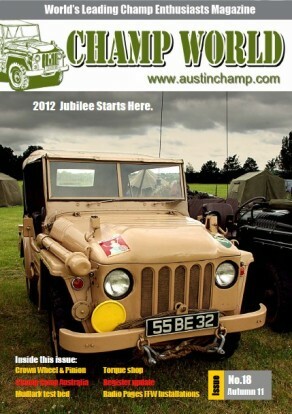 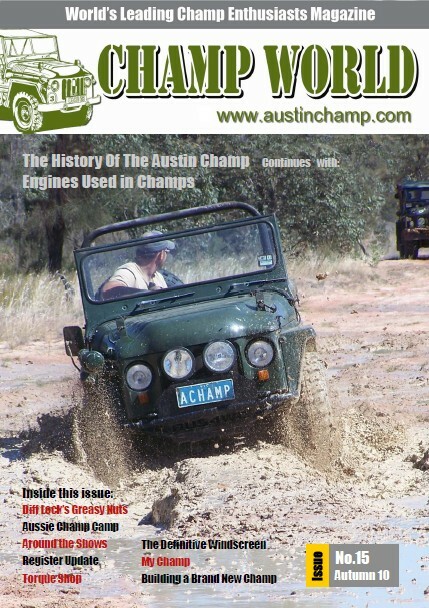 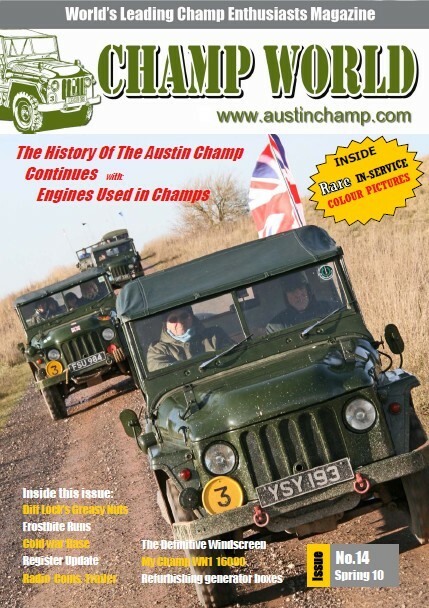 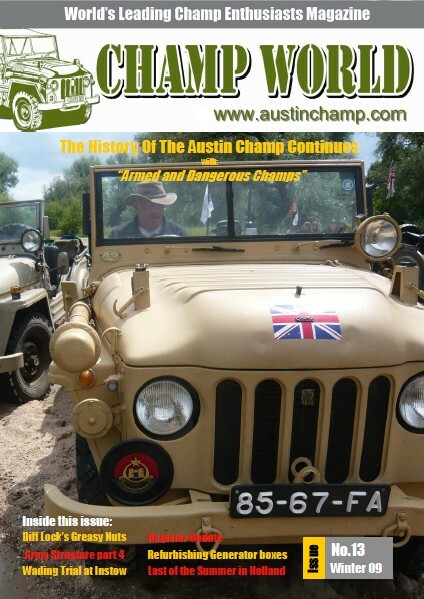 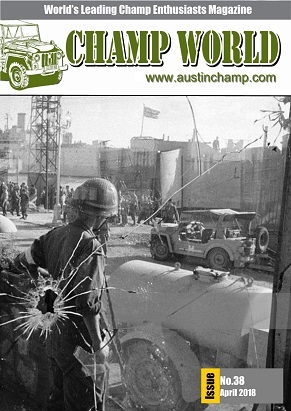 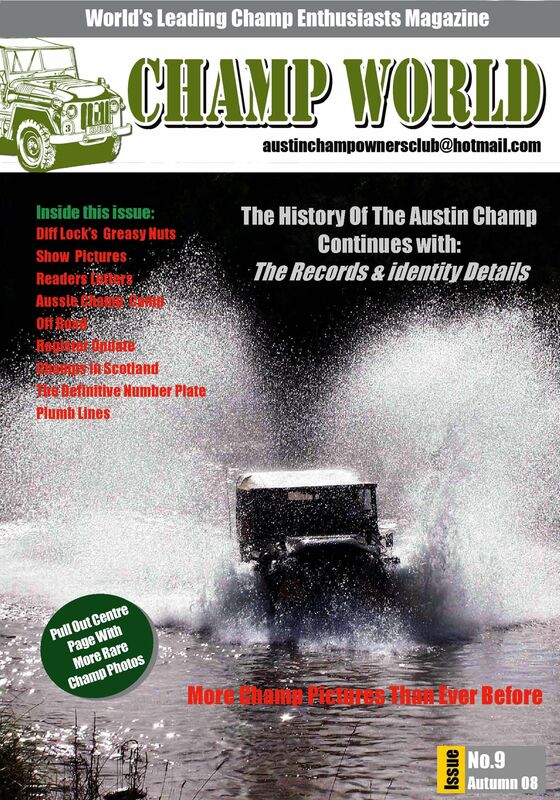 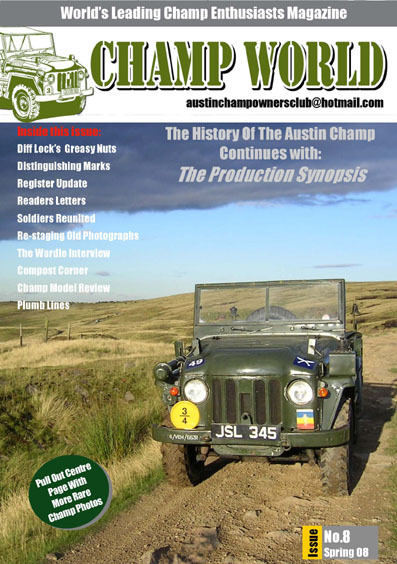 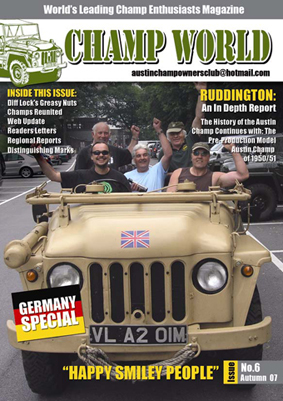 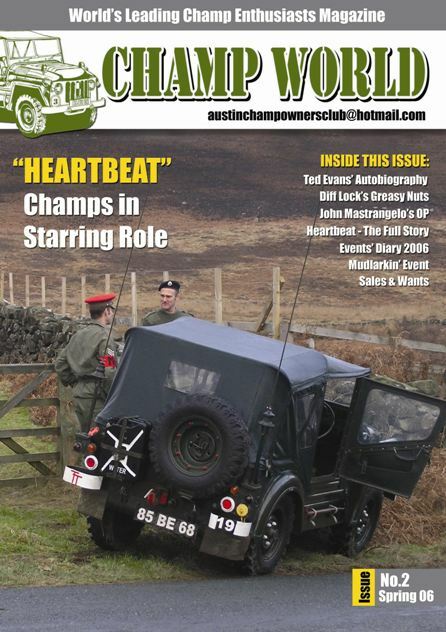 We carry member's articles on events, vehicle maintenance, Champs in military service, owners vehicles, parts availability etc.. More recent issues include features such as ‘Torque Shop’, where questions are raised and answered. 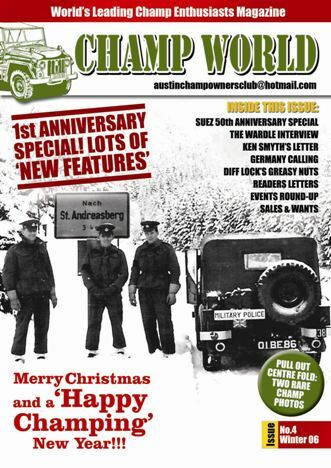 We welcome your letters and articles, which can be sent by e-mail, snail mail or to any of the editorial team (see details below).